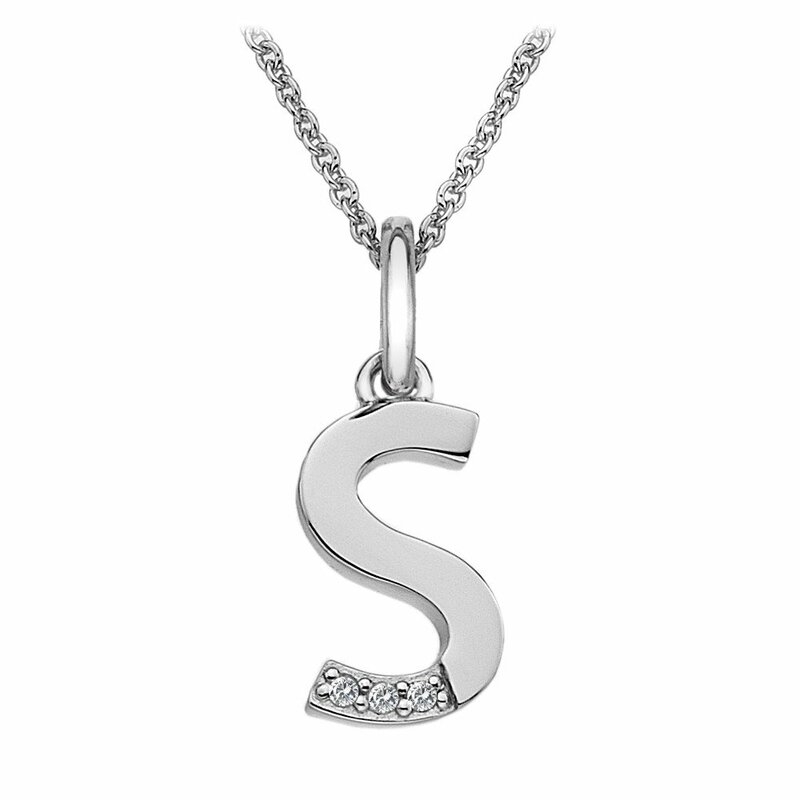 This Hot Diamonds Sterling Silver Micro Letter S Pendant features three signature Hot Diamonds round brilliant cut diamonds set into a small Highly Polished letter S pendant. As with all Hot Diamonds Jewellery the pendant is rhodium plated sterling silver which gives each piece an extra sparkle and a long lasting shine. Dress it up or down for a sparkling addition to any outfit.